In the wake of the #AssaultAtSpringValleyHigh, in lunchrooms and teachers' lounges across the country, many educators reacted with shock that any teacher would call security for such a commonplace, modern-day classroom struggle as "Put away your cell phone." They questioned why teachers didn't intervene when their number one role is to protect their students. And they expressed the obvious: that teachers should be supported to grow their practice, including classroom management and de-escalation skills, not call police in instances of everyday adolescent behavior. These educator conversations seem to have little to no outlet or platform. It's time for public school teachers to demand that their unions take an active role in calling for an end to school policing. 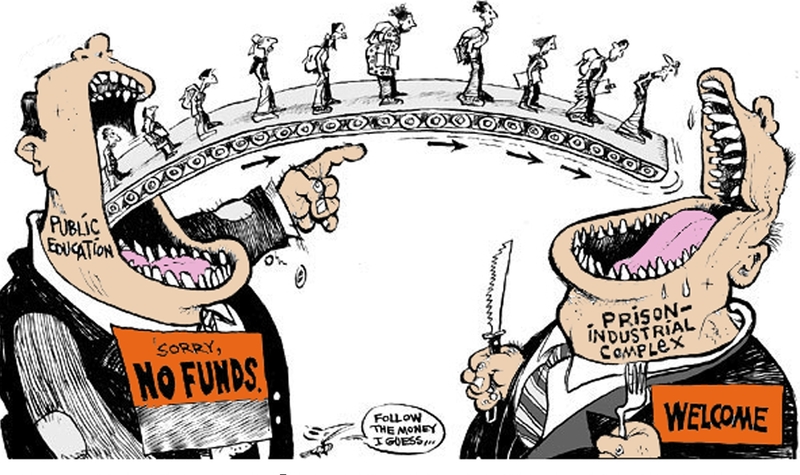 We need to "invest in public education, not prison cultivation." Teachers Unite's 200-plus members, public school educators in NYC, believe that reactive brute force by police should not be part of the education of young people learning how to self-regulate their impulses. Police should not be in schools period. As Teachers Unite member Elana/E.M. Eisen-Markowitz pointed out, "the racism, sexism and classism that makes an officer (or any adult employed in schools) think that this use of force might be justifiable is literally life threatening." At the start of the 2008-2009 school year there were more than 5,000 School Safety Agents (SSAs) and armed police officers in New York City's public schools. These numbers would make the NYPD's School Safety Division the fifth largest police force in the country -- larger than the police forces of Washington D.C., Detroit, Boston or Las Vegas. That same year, there were only 3,152 guidance counselors in New York City schools. States spend $5.7 billion a year on imprisoning young people, even though the majority are held for non-violent offenses. The #AssaultAtSpringValleyHigh is neither an isolated incident, nor is it a surprise that so many people thought that the police may have been justified. This attitude toward young Black lives is part of the fabric of our society and therefore our public school system. The Thirteenth Amendment of the U.S. Constitution makes slavery illegal "except as punishment for crime." Prison in our country is literally the institution that remains from African slavery, and what is considered a crime worthy of punishment is clearly based on who tends to commit the crime. A public education system rooted in a philosophy of Restorative Justice can subvert the original mission of schools because it is a belief system built on an enduring respect for children, parents, school staff, and all people. Teachers Unite members want police, and metal detectors out of schools because we want schools that foster education, growth, and inclusivity, not criminalization and fear. Teachers and schools must be supported to build a way of relating to students that focuses on teaching students how to relate to others even in times of fear, crisis or conflict, so that they are prepared to handle conflict and difficulty when they are adults. Educators know how schools work. We must make sure our unions take the lead in shaping the vision for schools. One where there are more caring adults in school buildings greeting students, directing students in hallways between and during classes, helping students and families cross streets safely, and preventing and breaking up fights. These caring adults should be school staff. Our members work with many SSAs who have build supportive relationships with students. Let's fight for them to hold unionized school-based staff positions that provide access to a career pathway into teaching and other caring professions. According to the American School Counselor Association, the guidance counselor to student ratio should be 250 to 1. Currently the national average is 482 to 1. Our teachers unions should be fighting in districts across the country to divest from police in schools and invest in hiring guidance counselors. What needs to be changed about how we think about education and policing? We, like so many others, supported the demand for immediate accountability and firing of the officer in Spring Valley. What would it look like if our schools and criminal justice system were built on a philosophy of Transformative Justice? How would this young woman be able to move forward if she and her classmates were able to speak with the officer and the teacher about the sense of safety and dignity that was violated? How would the school community reflect and make changes? How would we all learn from their example? 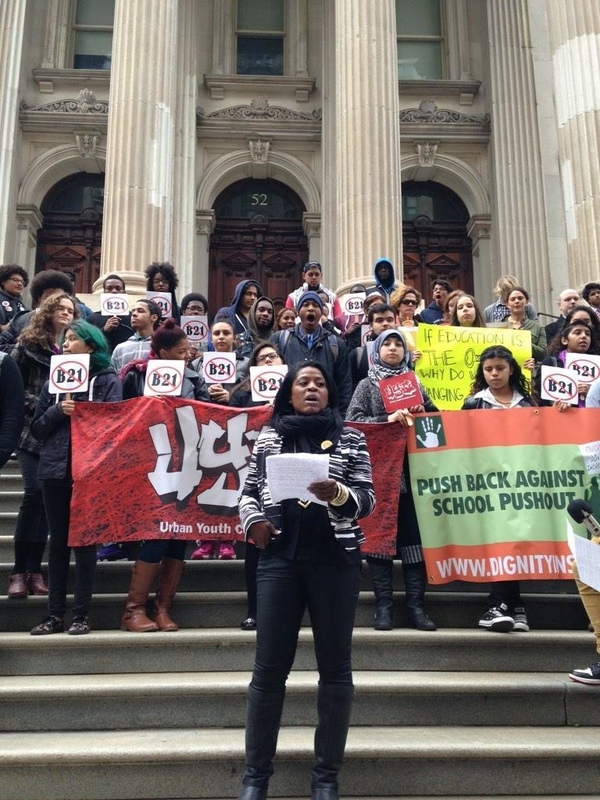 Let's keep doing the hard work to make Transformative Justice a reality in our society and schools because we believe that ‪#‎blacklivesmatter and ‪#‎blackgirlsmatter.‬ Let's transform these institutions from the inside out.